Adjacent to Christ Church Cathedral in Victoria, there is a park with a stone cross in its center. 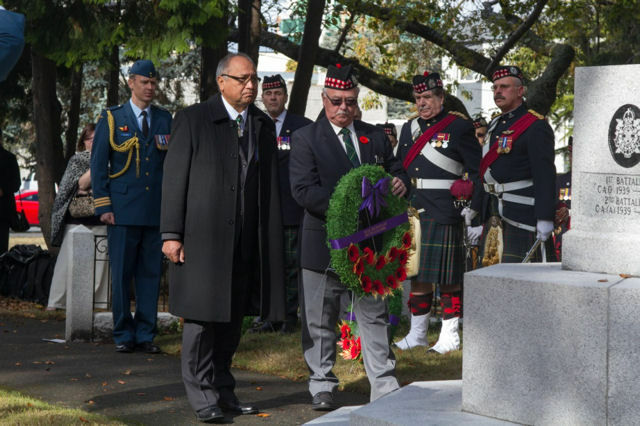 It’s a special place where the Regiment gathers to recall “remembrance the early dead, and contemplate upon the mighty past.” (2) The cemetery dates back to the 1850’s and began the transformation in a city park in 1908. Originally, the Cenotaph in Pioneer Square was a wooden cross that was erected on Vimy Ridge during the First World War and was brought back to Victoria by the 16th Battalion, CEF. The cross was installed in 1938, after plan to build a fountain in the square did not come to fruition. 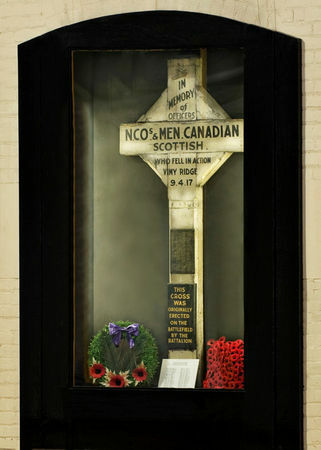 In 1951, it was replaced with the current stone cross and the ‘Vimy Cross’ was placed in Bay Street Armoury, where it still is to this day, encased in a glass cabinet on the upper deck of the Armoury. Pioneer Square also holds the Victoria Branch of the Royal Canadian Naval Association’s granite marker in the ‘Naval Corner” which was installed in 1993. On Remembrance Day after a mug of hot soup on Humboldt Street, the Canadian Scottish marches from the 11 November services on Victoria’s waterfront to Pioneer Square for a wealth laying ceremony at the Cenotaph. 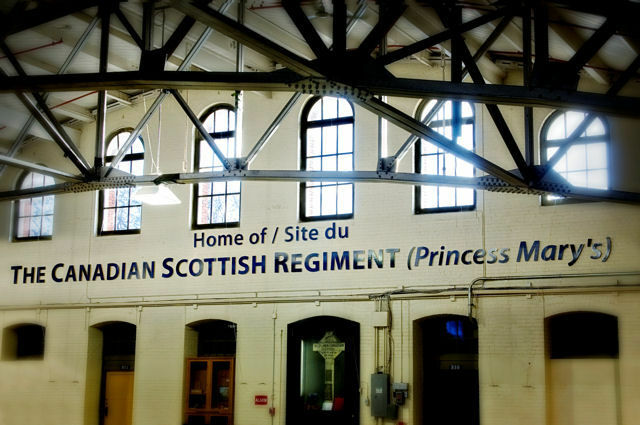 The Regiment then marches, with pipes playing, from Pioneer Square to Bay Street Armoury, where they further honor the original cross which is sacred to the Regiment.